There's no substitute for simply the best when it comes to communications equipment in an aircraft. 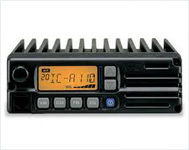 The Icom IC-A200 offers versatility and simplicity in a feature-rich compact unit. With memory protection you won't have to worry about unwanted changes occurring to your chosen frequencies. Icom Avionic radios allow pilots to keep in touch with the tower while conducting in-plane activity without running the engine. 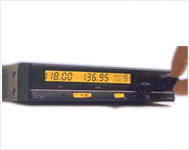 Experience and cutting edge technology in aviation radios-Icom the brand pilots know and trust. 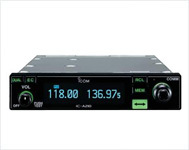 ICOM IC-A110 Is Rugged and Reliable for Serious Ground Crew Communications Setting a high standard for ground based communications; the IC-A110 provides durability and reliability in demanding operational environments.